“Yes, yes, of course we need someone, but who are you? And why the hell are you in Kinshasa?” – AP editor to Anjan Sundaram. Reviewed by Magnus Taylor – In August 2014 the journalist Anjan Sundaram wrote an opinion piece for The Guardian newspaper entitled: “I watched the western media turn away from explaining the world”. The argument was simple: in an era of declining newspaper circulation and a crisis in its business model, the Western media is becoming more self-obsessed and insular; less interested in hard-to-reach parts of the world. Sundaram’s article, widely-shared online, seemed to chime with many people, perhaps because his argument – that reporters should live for long periods in the countries they cover and be properly supported in their attempts to do this – is hard to disagree with. 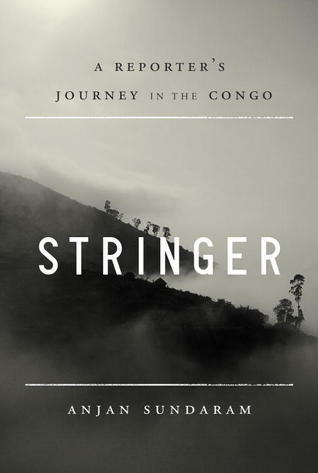 The advantages an extended stay provides are writ large in Sundaram’s perceptive new book, “˜Stringer: a reporter’s journey in the Congo’ – part travel memoir, part meditation on the unknown and ignored. The Congo has however, in the last decade been the subject of several other great books, stemming from its epic recent history – works by Jason Stearns and David Van Reybrouck immediately spring to mind. But the writer Sundaram most reminds me of is Teju Cole, whose meandering fictional and non-fictional narratives in Every Day is For the Thief (Lagos) and Open City (New York) share a similarly meditative and closely observant quality. Sundaram finds himself living in Victoire, a poor neighbourhood of Kinshasa, which initially “appeared as a collusion of secrets only the locals shared” – the meanings of which would only later be revealed. He stays with a Congolese family; the relatives of a refugee, Annie, whom he met whilst a student at Yale, studying algebra under the legendary mathematician Serge Lang. Sandaram is not your average stringer. Sundaram reaches Bunia in Ituri as militias close in around the city and seems conscious of being the only international journalist within several hundred miles. The process of reporting is primitive and raw – the author describing how he would walk the streets “looking for stories, searching in the broad spaces”. Perhaps simply being there is enough. He then falls sick, weak and vulnerable he relies on newly-made acquaintances to nurse him back to health. The atmosphere is tense, the country is building towards its first election since the 1960s and no one knows what will happen. Sundaram is told that senior AP correspondents are being flown in – “claim[ing] the country for themselves.” He is sent a list of stories that he is not allowed to touch. Feeling betrayed by his editor, himself a former stringer in Congo, the writing is perceptive and intensely self-analytical. The election arrives. Sundaram sees it as a fragile, comic affair; “a performance of democracy.” The vote is peaceful, but chaotic, with multiple irregularities, but the aftermath is violent and the results take weeks to collate. Sundaram returns to Kinshasa. A fight breaks out in the capital between the personal armies of President Kabila and his main rival, the warlord-turned-politician, Jean-Pierre Bemba. The author takes refuge in a hotel with other journalists and then subsequently hides in the compound of an Indian-owned margarine factory. The setting verges on the absurb. From this unpromising vantage point Sundaram becomes one of the few, perhaps the only, foreign journalist still filing from Kinshasa – the others had stayed for the vote but left before the results were announced; therefore missing the real story. It seems incredible that this is how the news we consume and take for granted could really be made. Having “lived the story” Sundaram is now in demand; writing for the New York Times and being offered attractive foreign postings by the AP. The harsh gaze of the international media, briefly settling on Congo, has deemed him worthy of a regular pay check. The stringer has earned his stripes.